The Allison Wonderland: 25 weeks: the plague. 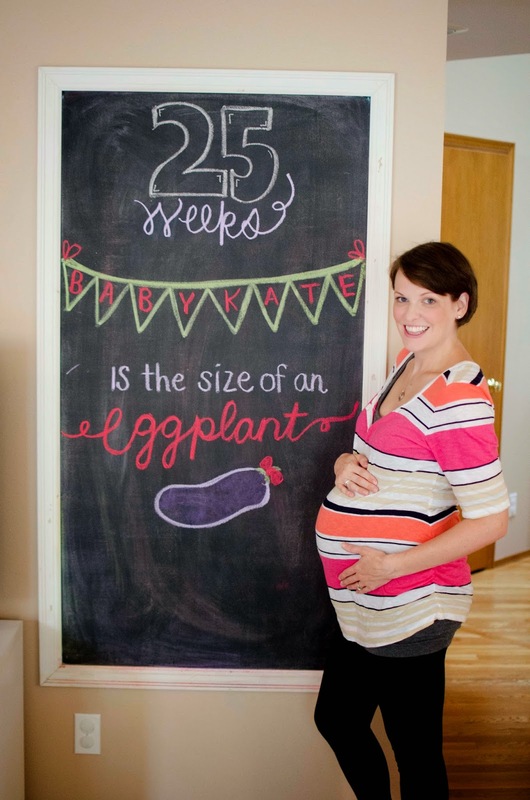 29 weeks: we have a schedule. 27 weeks: where I'm at in the pregnancy. [monday meals mashup] october is not 75 degrees. Photo taken pre-plague. You should see the stunning beauty that is behind the keyboard right now. Hi hi. It's taken me three days to post my 25 weeks picture all just to say "We have the plague, this post is about nothing." Do you know what's worse than having a cold? Having a cold while pregnant, while still morning sick, with a toddler at home - make that a sick toddler at home - and when you don't exactly feel like laying around getting "healthy" but have things to do people. Good news is Chuck rarely gets the plague and it looks like he has come out alive on the other side of this one unscathed as usual. Jerk. Oh well, at least one member stayed functioning so the other two could act like the toddlers they are. Sam was in great spirits the whole time, mostly. I have been the bitter old hag you would expect me to be. Thankfully, we are on the mend and just in time for the weekend. Plus, Sam is just about done with being Nosefrida'd. Learn to blow your own nose then. But hey - I'm equally as done with man handling him on the bed and sucking out his boogers so everyone is losing here. Again, learn to blow your own nose. Meanwhile, Sam is considering doing his own blog post on the traumatic experience of the Nosefrida. And that is what 25 weeks looks like around here. Closer to 26 weeks now that I've drug my sick feet on posting this, but you get the idea.